Bragi made an earnest attempt to beat AirPods to market with the Dash and Dash Pro, both truly wireless headphones that integrated AI and virtual assistants, as well as various health features, directly into the earbud units. News of Bragi's consumer exit was confirmed today by CEO Nikolaj Hviid in a statement to Wareable. "Bragi's technology suite is applied beyond our own products to partners and headphone brands," Hviid said. "The Dash Pro featured groundbreaking ultra efficient AI and software that could be updated with new features such as Amazon Alexa, language translation and personalized hearing. With the sale of our product business, Bragi has completed its transformation into a software, AI and IP licensing company." Dash received mixed reviews at launch, and while the Dash Pro improved on the original, it was hard for Bragi to steal much market share from the more entrenched players. The new owner of Bragi's hardware is still unknown, with Wareable mentioning Fitbit and Google were in early talks with Bragi though both companies declined to comment on the matter. Owners of existing Bragi headphone hardware will continue to receive support as part of the deal. Bragi's departure comes on the heels of Apple's release of a second generation version of the popular AirPods line. 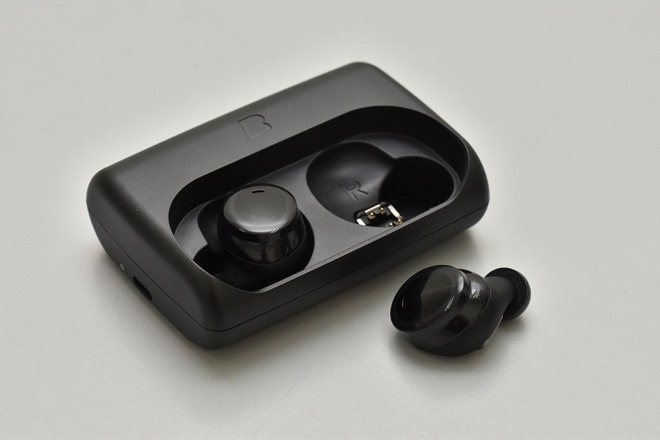 The earbuds feature an optional wireless charging case, H1 wireless chip and "Hey, Siri" support. The upgrade was well received but lacked many of the more impressive features that had been rumored for inclusion leading up to launch. Those features, such as health tracking, better audio, and improved texture, may be coming down the line in a "pro" version of the popular wearable.